Global Strides Charity is working to create a positive and successful future for 14 children who live in the Peaceful Children's Home in Kianyaga, Africa, by "feeding the body, nourishing the mind".Global Strides work domestically to raise money to provide the children with a non-institutional, safe, secure and nurturing environment so they grow up feeling as though they are a part of a family. The Peaceful Children’s Home, established in 2007, is a private institution run and funded under the umbrella of the Angels of Hope Foundation. The home is run by Agnes and Joe Njogo, who have been looking after orphans for the 20 years, treating each child as if she was her own. In Africa, children can't attend school without a uniform, which means many children go uneducated as their families cannot afford the cost. With the help from Global Strides Charity, each child at the Peaceful Children’s Home is given a uniform, solidifying their future and opening up the world of possibilities once they become adults. Global Strides Charity's ultimate goal is to fund each child's education through to university, helping the children become leaders in their community and, hopefully, pay it forward and help others in need. To do this, Global Strides Charity hosts its annual #HeartsBeyondBorders gala https://www.canadahelps.org/en/charities/global-strides-charity/events/hearts-beyond-borders/ , offers a gift catalogue http://www.globalstridescharity.com/giftcatalogue01.html and encourages people to support a child' education by offering a monthly donation program https://www.canadahelps.org/en/dn/24562 . 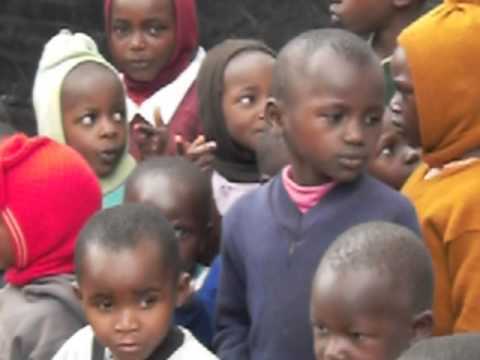 Global Strides Charity recently started to raise funds to create a lunch program at at Raimu Primary School, where two of the home's children attend, ensuring all children will have at least one healthy, substantial meal. As Global Strides Charity is run by volunteers, 95 per cent of all money raised goes to support the orphans at Peaceful Home for Children and the new lunch program at the Raimu Primary School. Visit http://www.globalstridescharity.com for details and to help these children succeed.